I’m getting ready for more than enough things. Cleaning up and out because my house is for sale. Compiling my notes for my semi-annual stock review. Consulting with friends about life and money. Wondering about how my life has gone, why I made the choices I made, and what’s next. There’s a struggle within. Logically and spiritually I think everything will work out well. It’s been so long since I had substantial financial good news that my emotions are having a tougher time buying into the optimism. Then I decided to unpack some long unopened boxes, and memories of optimism returned. I pulled out rare shareholder only Pixar movie posters. They inspired a mental connection from Apple through Pixar with some hope for Dendreon. Yeah, it surprised me too. Look at what I am selling now. 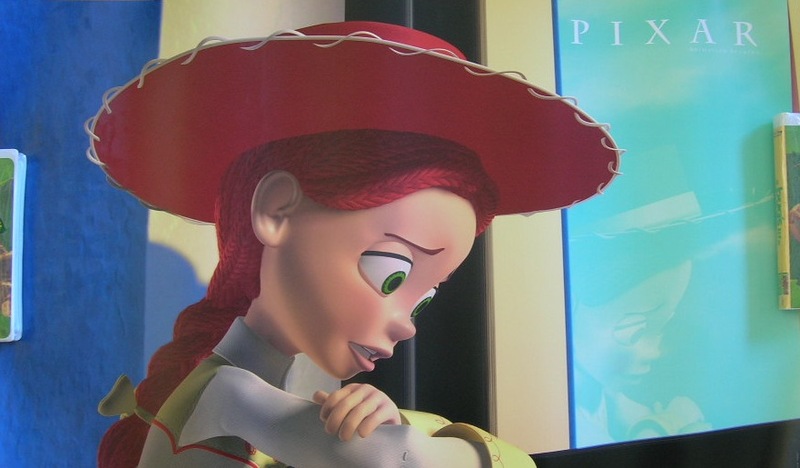 I bought stock in Pixar back around the time of Toy Story. Much of the art community dismissed them because the movies would be computer graphics, not hand-drawn images. Most of the investment community was making fun of them because it looked like a rich kid wasting his money. Back then, Steve Jobs didn’t have the highest credibility in the movie industry or the business world. I saw some of their early short movies and thought they were onto something disruptive. I go into that case study in greater depth in my book, Dream. Invest. Live. (which is a sales pitch, but also an expedient way to get on with this story.) For those early years Steve Jobs owned more than 50% of the company, so he could do anything he wanted. He had fun. Annual reports were colorful and were delivered with movie posters and videos. Investing doesn’t have to be dull. The movies surpassed my expectations. The stock rose reasonably well. About the time it looked like the stock would finally reflect the value of the company, Disney bought them out. Steve Jobs became the largest DIS shareholder. 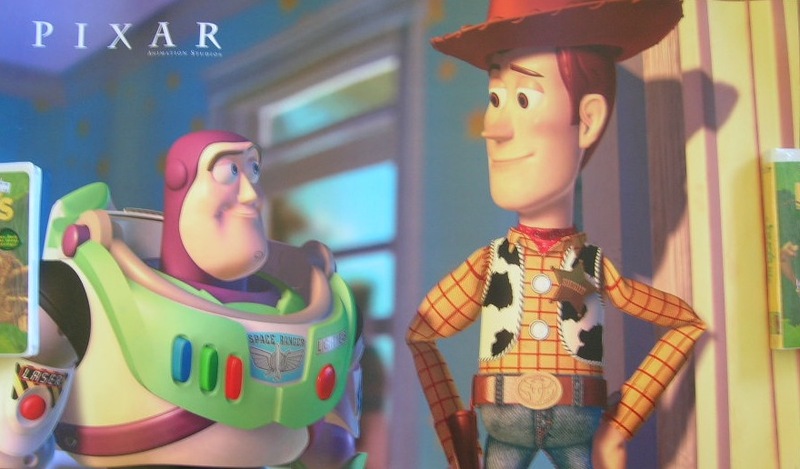 The creative folks at Pixar got good jobs at Disney, basically taking over animation. The PIXR shareholders received a small premium, and could wait to become DIS shareholders. I don’t like owning complicated companies, so I sold and diversified. In the end, my profit was a very nice return, and a pile of movie posters. It was also a reminder that disruptive and successful companies can change the world – without necessarily having a similar financial impact for the majority of the shareholders. Buyouts interrupt investing success. Apple was never bought out. And as much as they use AAPL stock as an image of wealth in Forrest Gump, relative to other computer stocks, AAPL was a dull stock for its first decade or so. I remember. I owned it then. I bought AAPL because I’d seen, then used, then bought a Mac 512k. These folks were onto something. I debugged my friend’s IBM-ATs. I programmed PDP-11s and CRAYs at work. But I knew that Apple would succeed. Then they got rid of Steve Jobs, and in protest I got rid of my AAPL. I was glad to see them bring Steve Jobs back eventually, but I was comfortable with my move because I’d invested in other companies in the meantime. Apple spent two decades changing the way the world works, but within the public markets, the stockholders didn’t significantly benefit until the new millennium. It is easy to look to the past and ignore a repeat happening in the present. Somehow DNDN came to mind. It was probably because I was compiling my notes for my semi-annual stock review. And yet, the industry and financial community focus on the shortfalls rather than the potential, so the stock languishes. Macs had trouble gaining market share too. Pixar lacked credibility, and even when they succeeded with Toy Story, it was discounted as luck. It wasn’t until the iMac, it wasn’t until the fifth movie that the companies were given credit for their accomplishments. Dendreon’s technology is impressive. Maybe they haven’t found their dynamic leader yet. If the treatments continue to cover more of the patient population, geographically and across other cancers, then Dendreon will be truly disruptive, and eventually DNDN will reflect that value. There’s no guarantee of that success, but there wasn’t for Pixar or Apple either, which was one reason their stocks were undervalued for so long. Misfortunately, I don’t have discretionary cash. That’s why I am hunting for a job and selling the house. That’s also why I am taking those shareholder posters out of the back of the closet, flattening a few to photo, and then selling them. A quick look around the web shows that some have bought them for hundreds of dollars each. Be first in line folks. I have a few extra that are in the original wrappers, and the original boxes. Maybe this PIXR dividend will help me hold onto my DNDN, or at least buy me some movie tickets and popcorn. 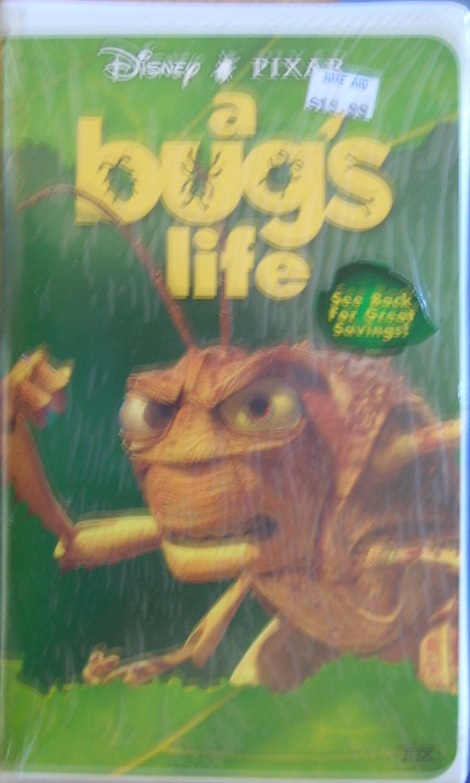 By the way, I also have copies of the uncommon copy of A Bug’s Life that has Hopper on the cover. Rumor has it the animators used Steve Jobs mannerisms in Hopper’s animation. Employees having fun with their dynamic leader. It happens. This entry was posted in Uncategorized and tagged AAPL, consulting, Dendreon, DNDN, Dream. Invest. Live., employment, investing, jobs, LTBH, personal finance, PIXR, Provenge, stocks, unemployment. Bookmark the permalink.